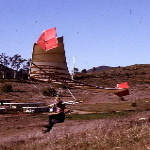 Frank Colver wrote: Hang gliding 45th anniversary meet. A majority of the Board of Directors of the Friends of Dockweiler Gliding Society has voted for Sunday, May 22nd. 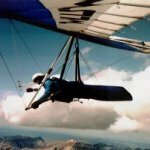 to have a gathering of hang glider pilots and other enthusiasts, old and new, in celebration of the 168th birthday of Otto Lilienthal and the 45th anniversary of the beginning of the worldwide sport of hang gliding. To be held at the historic hang gliding site at Dockweiler Beach, El Segundo, CA, under the site operation authority of Windsports and sponsored by the Friends of Dockweiler Gliding Society. 10:00 AM to sunset. There is an L.A. County beach parking fee. Bring your vintage hang glider for display or flight. Modern hang gliders welcome based on space available, vintage HG take priority. There will also be sharing of some gliders (a common practice at Dockweiler). Paragliders are not allowed by county ordinance. We need to start spreading the word to all we know who might be interested, because the date will come up fast. I just sent a broadcast message to all US Hawks members about this event. I encourage everyone to post an announcement to their local club forums and email lists!! I'd like to go to this event. I even have a Rogallo standard left over from 1975 hanging in my garage. I can't bring it on my motorcycle, so if anyone from San Diego is planning on going up with a vehicle with racks, gimme a shout. I'll give you gas money. I'll be driving up from San Diego, and you're welcome to ride with me. There may be others going up as well, so keep an eye on this topic as the time gets closer. It would be great to have you there ... and any gliders you can bring are a bonus! Dagobarbz; who are you really? I sure wish more of the old timers, at least (better if everybody), would use their real names so that I would have some idea of who is posting. I probably know you but I sure don't know anybody named dagobarbz who flew a "standard" back in the day. One photo: "Peregrine Falcon Xena on the cliffs above Torrey Pines State Beach." fcolver wrote: Dagobarbz; who are you really? Maybe she doesn't want to spoil the surprise. 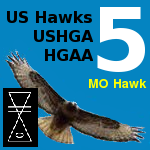 With regard to real names, the US Hawks Board has kicked the idea around some, but I don't think there's been a unified concensus yet. However, individual clubs like FDGS can establish their own rules for their forums if they want. Enforcement may be a tricky issue in some cases. Maybe that would be one of many topics at the Otto reunion ... which may also serve as the annual meeting for the FDGS? BobK, you posted a welcome to "Barb" while the avatar does not really reduce to that. one might want to have real names reached; real names would be needed for actions in court, I assume. for the blessing to be effective over others' lives. if a real name is really real? We have wandered into an interesting topic. Who is "dagobarbz"? Personally, I think the "dago" part is simply misspelled. It should be Dayglow! Meaning, very bright and easily noticeable. Now I think "barbz" is indicative of this person's occupation as a (fairly hip) barber. "Yo, Barbz! How you doin'." Hence we arrive at - A bright, easily noticed yet also cool barber. Then again, . . . . . . there's a chance this member is actually an Italian porcupine! I can ride my bike up if you're full up. But my kite will need a ride!